SIDACtor® Protection Thyristors prevent component property degradation. Available in B61089QDR and B9110DF Series models, SIDACtor® Protection Thyristors provide protection for WLL, plain old telephone service signals, voice over IP, digital loop carrier and small office, home office systems. B61089QDR Dual-Port Battrax offers surge protection for SLIC cards which implement negative voltage ringing and B9110DF Series provides protection for SLIC cards which implement both positive and negative voltage ringing. Littelfuse, Inc., the global leader in circuit protection, today introduced two series of SIDACtor® Protection Thyristors designed to protect SLIC (Subscriber Line Interface Circuit) interfaces against lightning-induced surges and power fault events. The surface-mount B61089QDR and B9110DF Series Thyristors for Programmable Tracking Protection contain fast-switching crowbarring structures that are compatible with the Basic levels outlined in the ITU K.20, K.21 and K.45 recommendations from the International Telecommunications Union (ITU). The B61089QDR Dual-Port Battrax provides surge protection for SLIC cards that have only implemented negative voltage ringing. The B9110DF Series provides surge protection for SLIC cards that have implemented both positive and negative voltage ringing, which are used in most telecommunications applications today. It also tracks the Vcc reference of the SLIC chipset so that if/when it enters a low quiescent stage, the protection threshold will match this lower threshold. Small Office, Home Office (SOHO) systems. High performance protection for SLICs with + VBAT and –VBAT references for the B9110DF Series and –VBAT reference for the B61089QDR Series and with changing VBAT references. Prevent component property degradation after multiple surge events within the rated limits, thereby extending equipment lifetime. Help line drivers comply with global standards because these devices are certified, environmentally friendly and suitable for worldwide usage. 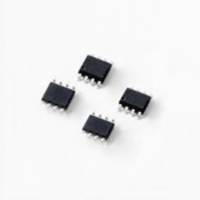 B61089QDR and B9110DF Series SIDACtor Protection Thyristors are provided in SOIC packages in tape & reel format in quantities of 2,500. For a listing of Littelfuse distributors, please visit Littelfuse.com.